The foundation managerohnegrenzen has the legal form of a non-profit organization. We have project experience since 2005 and have been a charitable foundation since 2009. We have supported over 150 projects in more than 40 countries, working with over 150 managers. Our work is interdenominational, politically neutral and serves the common good. 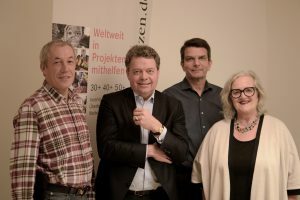 The initiator and founder, Helene Prölß, a graduate in business administration, leads the work of the foundation according to its inherent purpose. In this sense, we promote local development work with entrepreneurial and management knowledge and provide sustainable support on all continents. The cooperation between the delegated experts (High Potentials) as “Managers without Borders” and the local partners leads to a continuation of the projects stemming from own resources. The aspect of sustainability is essential for us – we promote a stable middle class movement and no dependencies! We have developed our own social impact rating system with clear eligibility criteria. We offer existencial aid locally, concrete and direct – worldwide. We offer support for the economically independent development of projects through knowledge transfer. By the term “project” we understand everything that can be promoted in this sense. These can be, for example, areas of trade, production, training, social services, business start-up initiatives or agriculture and forestry. We build a bridge between the economy and development assistance and also close the existing gap between governmental aid and small initiatives / NGOs at the grassroots level. 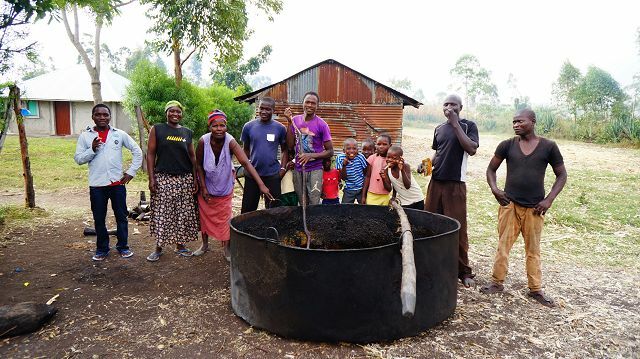 Through us, traditional development assistance becomes sustainable and effective. Managers who have applied are sent to the project location in coordination with the national partner to assist in an intensely organized project for a precisely defined period of time. They act primarily as consultants or trainers. The goal is a win-win situation for everyone involved.